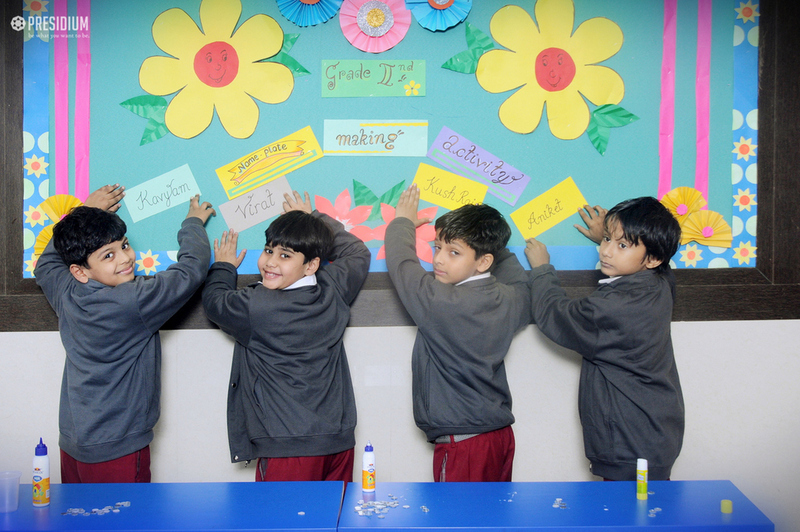 Considering children's fondness towards writing their names creatively, a Name Plate Making Activity was recently organized for the students of grade 2 at Presidium, Raj Nagar. 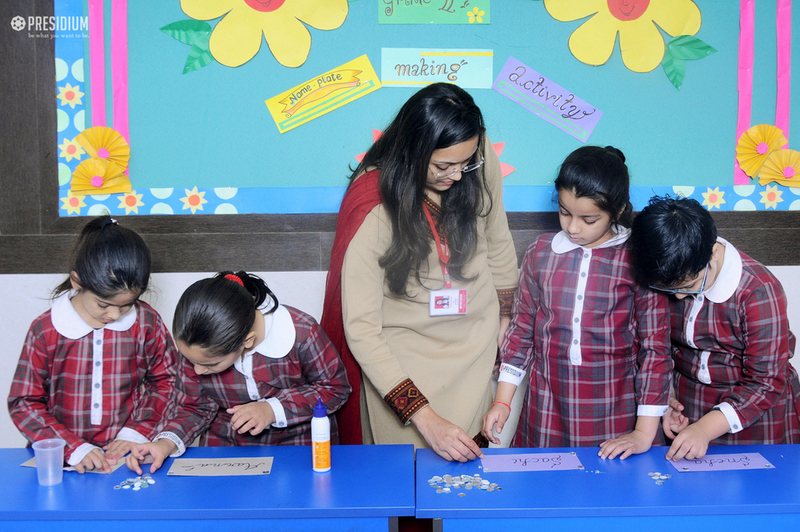 The theme of the activity was so delightful that each child came out with his or her best creations. They performed incredibly well and used various tools to decorate the initials of their names. The activity was designed to help them learn about their abilities and creative skills. It was truly, an amazing experience!